Playing and Learning Outdoors shows early years practitioners how to get the very best from outdoor play and learning for the enjoyment, health and education of young children up to age seven. Fully updated to reflect the current status and understandings regarding outdoor provision within early childhood education frameworks across the UK, this new edition facilitates the development of rich and stimulating outdoor play provision in any early years setting. Through making best use of the special nature of being outside, practitioners will feel confident in offering wonderful play experiences for all children. explorations into the locality and community just beyond your garden. 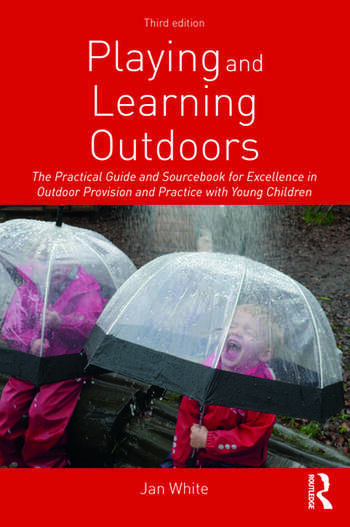 The full colour third edition of Playing and Learning Outdoors has become the essential practical guide to excellence in outdoor provision and pedagogy for all early years services. This lively, inspiring and accessible book will help every educator to develop a truly successful and satisfying approach to learning through play outdoors for every child. Jan White is an honorary Professor of Practice with the University of Wales Trinity St David and strategic director of Early Childhood Outdoors, the National Centre for Outdoor Play, Learning and Wellbeing.